See our fantasic range of comfort height WC toilets that are ideal for giving user extra height and comfort rather than a standard toilet that is much lower. Mobility Mobile Phones and other phones that are designed to help people with hard of hearing and have visual difficulties. We stock and supply a whole range of mobility products for the home and for commercial places such as hotels, nursing homes and shopping centres. ails for many different obstacles of life. There are grab rails for in and around the home setting and grab rails for businesses, grab rails for commercial and public places. 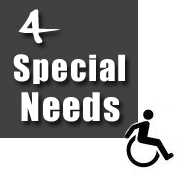 Our special needs products are aimed at making life easier for people. People who may have a disability or are elderly and find it difficult to bath, use the tap, get to and from the bathroom. These obstacles for some people are what others take for granted everyday. So here we understand your needs and we have a product range that is designed for making life easier for you. Our range of mobility products include Doc M Packs, Grab Rails,a range of disabled toilets and mobility baths and many more Mobility products. See our large range of special needs product packs that are used in bathrooms, kitchen safety products and handy tools such as a boiling gauge. We have currently updated a lot of our products and are continuing to add new ranges and selections of products which include Walkin Baths, Walkin Showers, and Wet Rooms. You can also look out for our special offers on Doc M Packs. We have easy up chairs and beds. We also have products that are useful when out and about such as wheelchairs, and motorised carts. We also provide advanced car and pedal controls including hand controls, seats and many more. Take a look at our popular mobility products range below. Disabled toilets with extra height give user extra comfort and support. Disabled toilets are higher than normal standard toilets and come in a low level style with a back rest support which fits between the cistern and the pan slitting them. Or come in a close coupled version which is where the cistern and pan are joint and no backrest. We specialise in disabled toilets at comfort height so take a look at our super offers. A doc m pack is a disabled and mobility pack that is designed to meet the regulations for document M. There are different types of doc m packs that are designed to meet different requirments. Low level doc m packs are popular with the backrest in between the cistern and pan and close coupled are also popular. Both ideal for commercial public applications, nursing homes, hotels, restaurants and any where that requires disabled toilet facilities that meet the regulations. The grab rails or grab bars that come with a doc m pack need to be a darker or lighter colour than your wall colour. for people with visual impairments. See our fantastic selection of shower seats that are aimed to give users and carers that extra comfort and support in showering. Showering can be a very difficult and frightening experience for elderly and less able people, so it is important to build confidence and provide extra support to make sure that showering is the enjoyable and relaxing experience that it should be. A shower chair can make all the difference and here we can provide you with a variety of shower chairs and shower stools that come in many sizes, shapes and functions for everyone. Our shower seats are ideal for domestic house hold use and commercial businesses and hotels. Here are some examples below. For more information on VAT exemption please see details.